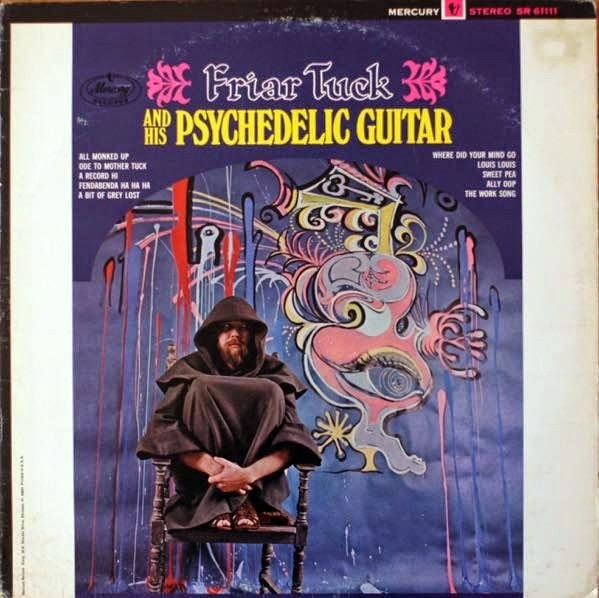 -HERE'S A PSYCH CLASSIC BY FRIAR TUCK AND HIS BAND WITH FUZZ BLASTING ALL OVER THE PLACE FOLKS! What can I say about this wonderful record ? Once you go Friar tuck you'll never go back , that is , if super psychedelic fuzz infused reverb dripping endless dreamy Ethereal Phil Spector like Pet sounds acid trips with Charles Manson at the psychedelic dance party is your thing ,the ultimate and essential cornerstone to any space age pop Psychedelia LSD exotica groove lounge collection ,Once I heard this LP I've spent years after trying to find something else that comes close to this , but with no avail , this is far too advanced , you could listen to this album a hundred times and still here new sounds and ideas within the layers upon layers of ethereal wordless vocal harmonies and raga reverb tremelo space echo guitar bliss , a precursor to My Bloody Valentine ?